Flat diapers, folded around baby, then covered with waterproof diaper cover. A cloth diaper usually consists of an outer cover and an inner insert. The cover keeps waste from getting out of the diaper, and the insert soaks up the urine, obviously, the poo is in here as well. Outers– usually called covers, or a waterproof layer such as PUL. These close with either hook and loop closure (velcro) or snaps. Many are made of PUL fabric. Usually OS (one size), with snap sets to cover from infancy to potty training. Fitteds or Contours– cloth diapers that are shaped as diapers, are only absorbent fabric, have gussets (stretchy areas near the legs), and always need a cover. These are best for needing as much absorbency as possible. These are often sized diapers, such as size 1, size 2, etc. They do fit for quite awhile though. 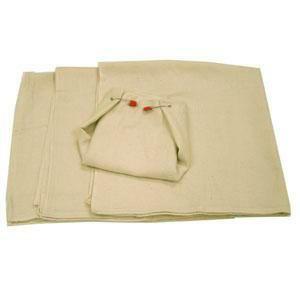 Prefolds or Flats– pieces of fabric, in rectangular shape, folded in a variety of ways, and used as inserts. This is what people are thinking of when imagining cloth diapers from back in the day. Don’t worry, no pins necessary anymore. Sometimes these are sized, otherwise not. Work great with Snappis, that keep the diaper in place while being worn. Cheapest option. 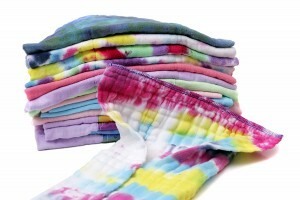 Tie Dye prefold cloth diapers, extra thick in the middle for absorbency, diaper cover needed. Pocket or All in One Diapers– Pocket diapers have three layers, the outer or PUL layer, the middle layer, or the insert, and a cloth layer on the inner of the diaper that keeps urine away from the skin. In the pocket diaper, the outer and inner layers are sewn together, with a pocket opening, where you stuff the insert. Usually OS diapers. The AIO (all in one) is where all pieces are sewn together, including the insert. These and the pocket diapers are super daddy and daycare friendly. Considered the easiest diapers to use, though are more expensive. Usually OS diapers. Hybrid diapers– A cover, with a different kinds of inserts, such as a biodegradable disposable one, and a cloth one, so that you can do both cloth diapering to save money, and use disposables when you are traveling or you need to for daycare. Usually OS diapers. Newborn– Because of their small size, a lot of OS diapers will not fit newborns. There are newborn diapers available at many places, and best brands are listed below. Potty Training– Cloth options for use during potty training. They look like underwear with extra padding. Usually lead to earlier training.